I'm writing a novel that is set in Vienna during the period when it was occupied by, among others, the Americans and the Soviets (1945-1955). The central district (grey in the image below) belonged to all the occupational powers. In my novel there is a character (a native Austrian) who seriously injures (on purpose) an American soldier or officer. After the crime he needs to hide somewhere. He considers running to the Soviet zone in the hope that it will make it more difficult for the Americans to find him there. This leads to the first question. 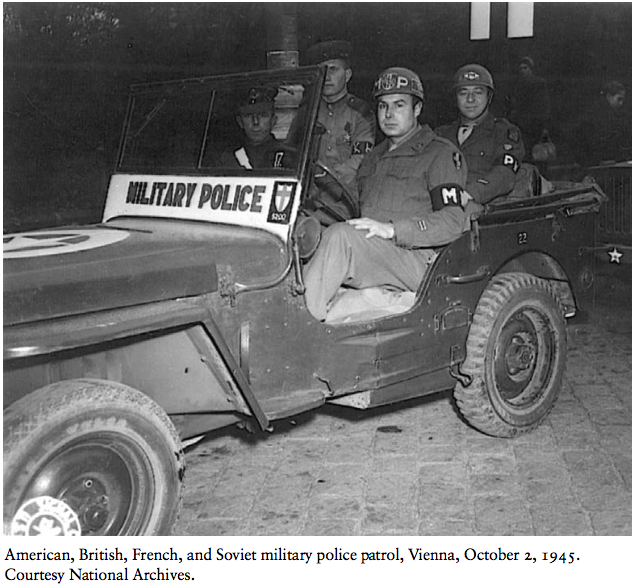 Question #1: Did the Soviets cooperate with Americans when investigating serious crimes? Let's say he runs to the Soviet zone. The Americans somehow find this out and ask the Soviets to help them find this criminal (or at least not interfere). How likely are the Soviets to agree (provided that the character committed a serious crime against the Americans and the Soviets are not interested in him at all)? Question #2: Whose police forces would perform a large operation, if the need arose? Now assume the Soviets help the Americans find the protagonist actively or passively. It turns out the protagonist has barricaded himself. The only way to catch him is to storm that place. Note: Since I'm writing fiction, I do not need 100 % historical accuracy. I only need believability. An answer to question #1 seems possible, but is highly dependent on the concrete date. These combined patrols were kept running for quite a while and continued even as the relations went sour. But, just like in Germany, things deteriorated soon. The later years were marked by Soviet obstruction of almost anything, including policing. Immediately after the war a criminal offender against Americans would have had a hard time hiding with the Soviets on these principles. Factors like communication difficulties between the allies would still make it a viable idea to try it in the east. At the end of the timeframe given, its very likely that the increasingly – perceived or real – erratic behaviour on the Soviet side made it quite likely that a request for cooperation would be denied or just ignored. For question #2: I will not dare to speculate. 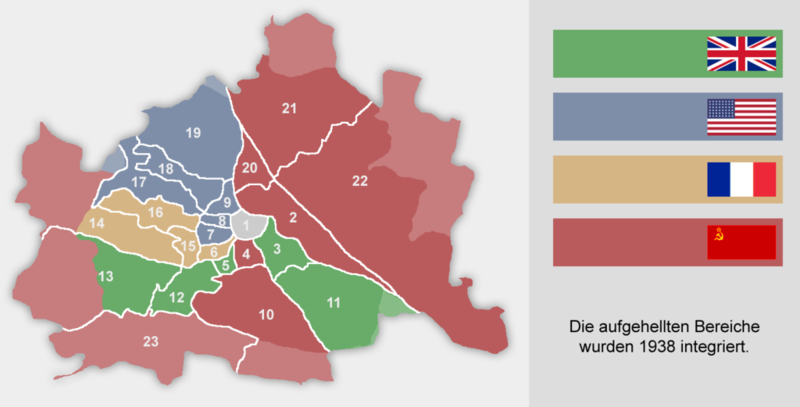 Marcello La Speranza: "Wien 1945–1955. Zeitzeugen berichten" Ares: Graz, 2007. Barbara Stelzl-Marx: "Stalins Soldaten in Österreich" Böhlau: Wien, 2012. Not the answer you're looking for? Browse other questions tagged united-states world-war-two europe soviet-union austria or ask your own question. Did the Allies punish their own war criminals?